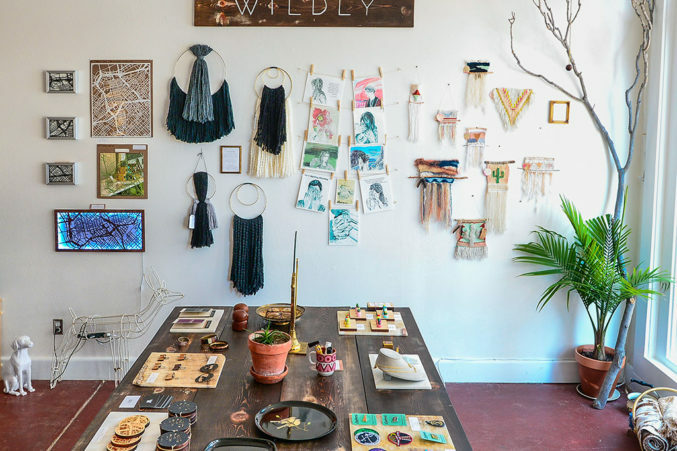 Located in the heart of Deep Ellum, the vintage shop by UNT alumni Monica Giddens can be categorized as something between a thrift store and a high-end vintage boutique. Head upstairs to find vintage men’s and women’s clothing, classic leather boats, vintage Coach bags, and impeccably maintained Stuart Weitzman and Ferragamo shoes. Or stick to the ground floor, where artwork and giftable items by talented Texas artisans blend beautifully with Gidden’s vintage wall hangings and one-of-a-kind home décor pieces.